Did Your Car Hydroplane and Cause Serious Injury? Driving in or after heavy rain can be nerve-wracking. Puddles can hide potholes, and other drivers can be unpredictable. Arguably the scariest and most dangerous hazard in rain is hydroplaning. 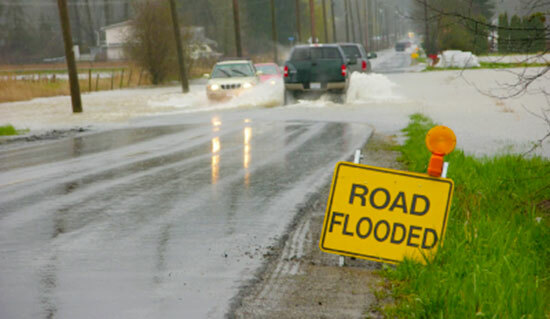 If enough water gets under your tires, it may lift them off the road, causing your car to skid uncontrollably. The best way to minimize your risk of an accident when you begin to hydroplane is to gently slow down – never slam on your brakes or speed up. But even doing that won't prevent every crash. You may have a lot of questions after an accident, but the first one you should ask is "why was so much water there?" It may sound silly, but hazards and poor road maintenance may have set you up to hydroplane. Maybe poor drainage or a lack of upkeep is to blame for the pool of water you drove through. If you were hurt in an accident caused by hydroplaning, you may have a case. Trust Edgar Snyder & Associates to help you protect your rights. Since 1982, our firm has helped thousands of innocent car accident victims, and we're ready to fight for you. We've recovered over $1 billion dollars in verdicts and settlements. Our investigators and attorneys give you the best possible chance to get you what you need to move on from your accident. And remember, there's never a fee unless we get money for you, so you have nothing to lose. Evidence disappears quickly, especially with car accidents caused by hydroplaning. Plus, if you have a case and need to file against the state or a local government in Pennsylvania, you must give written notice within six months of the date your car accident happened. Don't wait another minute. Find out if you have a case today. Call us at 1-866-943-3427, or use the form in the top right corner of this page for a free consultation of your claim, no strings attached. Let us help you today.